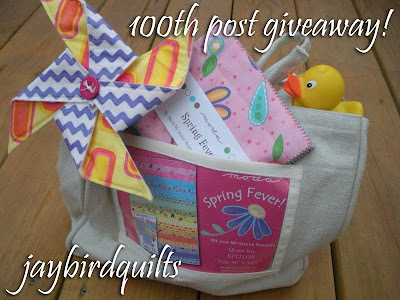 Julie at jaybird quilts is giving away some spring fever goodies, including a charm pack, quilt kit for a very cute and bright strip quilt, and cute Moda bag. 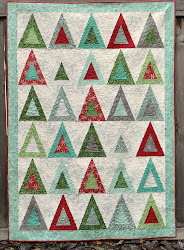 Head on over there and check out all the ways to enter! This giveaway is open until November 10.